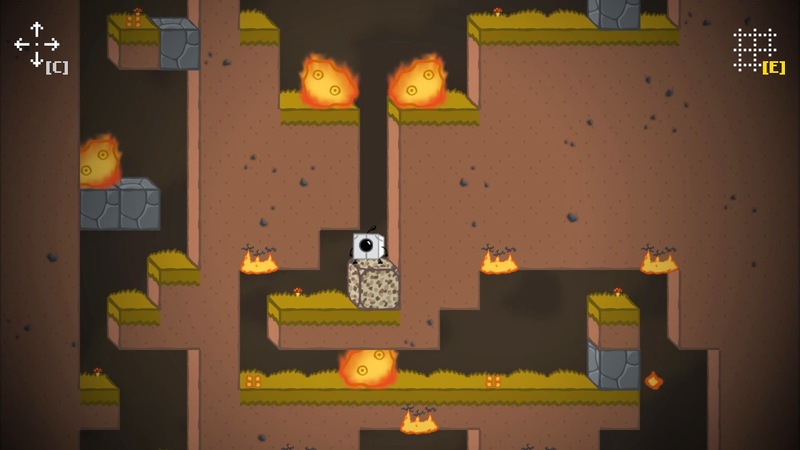 Blocks That Matter is a puzzle platformer where you play as a nanobot named Tetrobot who is out to save its creators, a pair of game developers that have been kidnapped. 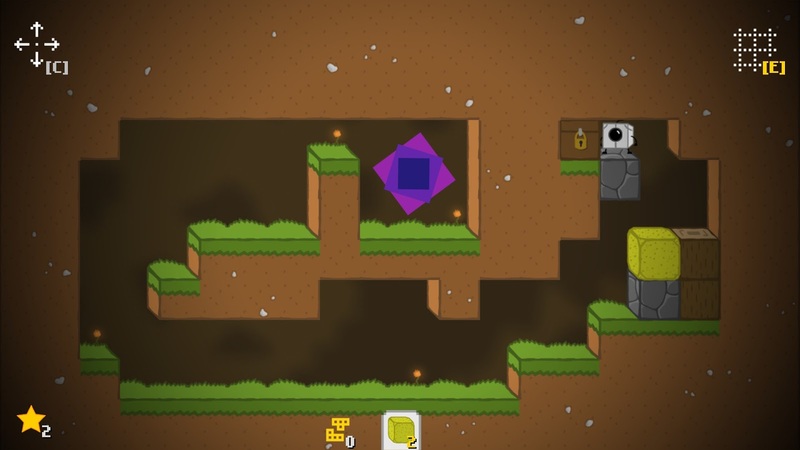 In each level, mine blocks of matter and combine any four blocks to build tetrominoes that you can use as platforms to reach the level's exit. 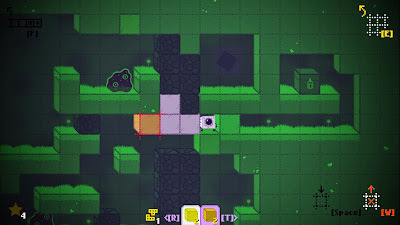 Taking further inspiration from Tetris, a line of eight or more blocks will result in a line clear (the blocks become destroyed). If you can reach a level's exit with a sufficient number of collected blocks, then you will obtain that level's Block That Matter. 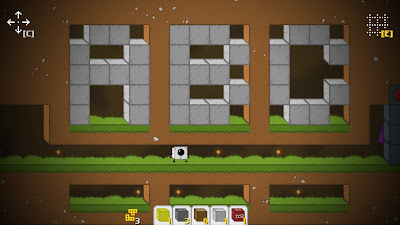 Reach the exit to complete a level. 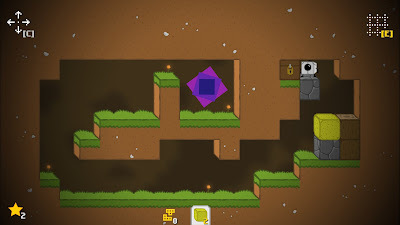 I found Blocks That Matter to be a fun and simple puzzle platformer. In particular, it was both short and interesting enough that I fully completed the game's story mode. While the story mode is interesting, it is quite easy compared to the game's challenge mode. Today I loaded up Blocks That Matter and all the progress I had previously made was gone. How unfortunate. Strangely, after I finished one of the levels, I unlocked a very basic achievement, making me question whether or not I had actually played the game. While there are many fun and challenging puzzles in Blocks That Matter, I think there are also some minor aspects of the game which I dislike. For one, I dislike the repetition of any introductory chapter when a level is restarted (whether by death or by holding down the reset key). Of course, the game provides a shortcut key to skip the chatter, but I still think it's excessive to repeat it. Unlock all the treasure chests! A feature I think the game lacks is an undo button (or some rewind and fast forward buttons) instead of a full reset. 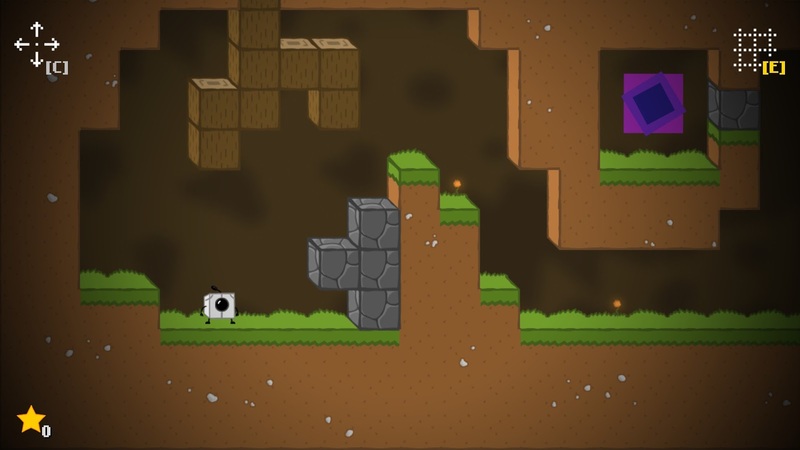 This is a feature that's implemented very well in the puzzle platformer Toki Tori (2010). Then again, perhaps the game developers intentionally wanted to drive players crazy for trying unsuccessful strategies. On a related note, some strategies are unsuccessful because some secret items and/or goals cannot be attained until later. In other words, a lot of backtracking will be necessary. Overall, I personally wish Blocks That Matter was more of a puzzler and less of a platformer. One of the levels I'm stuck with. 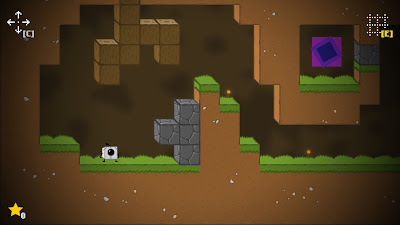 Today I played much more of Blocks That Matter and I would say I appreciated the difficulty of the later levels as well as the replay value in unlocking the Blocks That Matter and unlocking the stars. 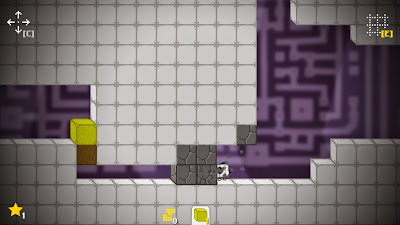 Going back to get one hundred percent took a lot of time, and while sometimes a level attempt took many tries, finding and/or accomplishing a level's solution was rewarding. In particular, I got over the fact that the game lacked an undo button. I also got over the fact that when inside a level, the star counter (whether or not you're set to earn a yellow/green star) only shows up after the player has previously collected the level's Block That Matter. Another level I don't understand. One annoying thing that happens is using the drill button to run, and then hitting a wall for too long. 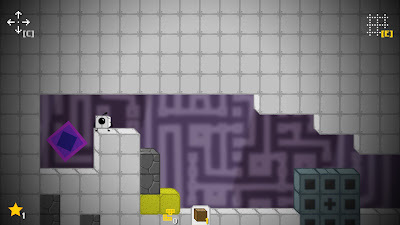 Tetrobot (the player character) will drill against the wall and sometimes this can get Tetrobot killed. Overall, those are small complaints and I mostly enjoy the game. 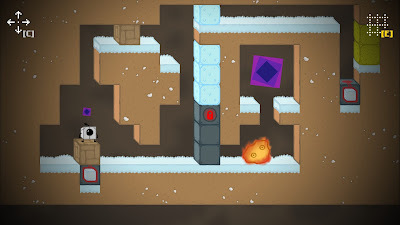 Today I tried playing the various bonus levels which I had not been able to complete (An Ice Glitch, Extreme Temperature, Quicksand, A14B26C34). Unfortunately, I didn't have any better luck this time around. One of the bonus levels I have yet to complete. 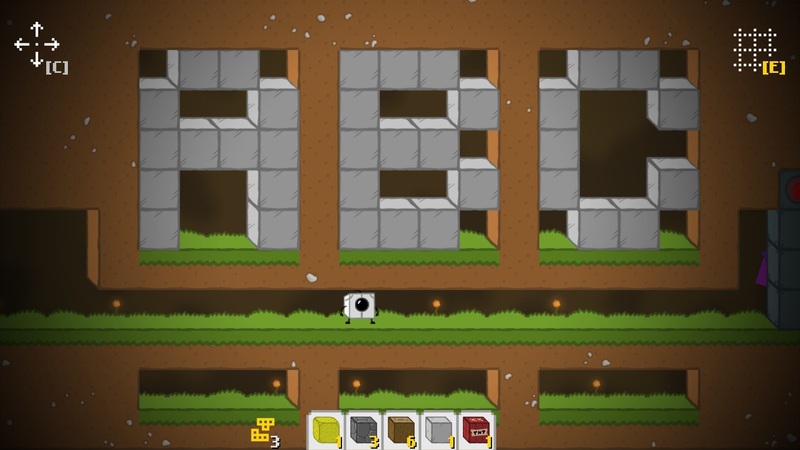 Tip: Hold 'W' to restart a level. Tip: Press 'C' to move the screen around.